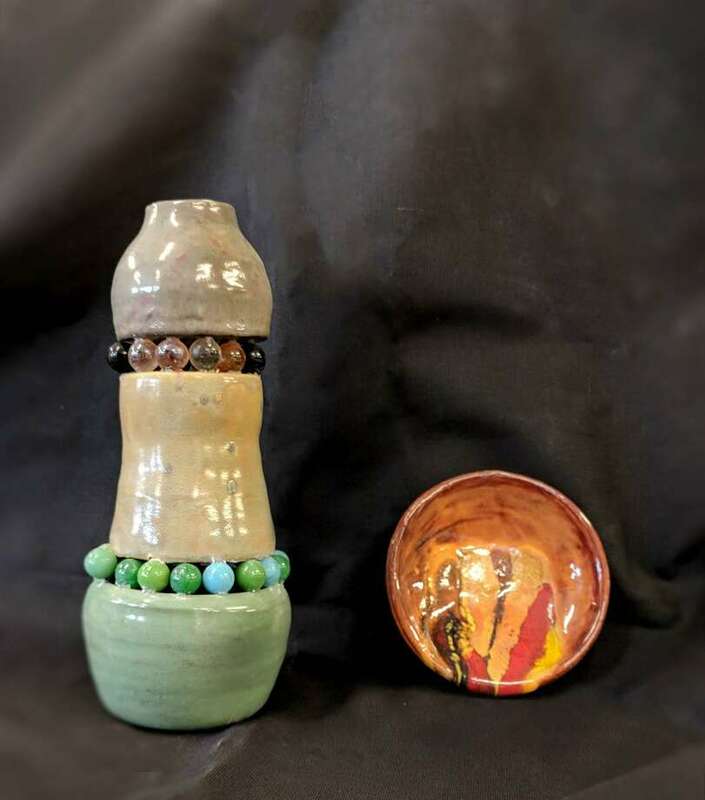 The Village Center for the Arts in New Milford will open “Marbles,” an exhibit of works by after-school Club Mud ceramic and Saturday Sculpture for Emerging Artists students, March 1 from 6:30 to 8 p.m. at New Milford Public Library. Beginning March 3, the show will remain on exhibit in the reference area glass display case for approximately one month. Advanced ceramics students have worked to create stacked thrown ceramic pieces, connected together through whatever means the students found meaningful. A working fountain will be one of the pieces featured. A selection of the first works from the center’s 5- to 8-year-old students from Northville and Hill and Plain elementary schools will also be exhibited. Participating artists include Maddie Alagna, 8; Phoebe Booth, 11; Emily Chiappa, 13; Kitty Frazine, 16; Emma Green, 17; Ethan Johnson, 9; Alina Mahon, 6; Jade McGuire, 14; Jennifer Montedesco, 7; Gabby Pfeifer, 7; Amber Purdy, 8; Collin Rozelle, 13; Julia Skrzypczyk, 9; Annika Stuerken, 13; and Stephanie Tejeda, 9. For information, call Sharon Kaufman at VCA at 860-354-4318.